ShopSol Lab Stools are designed for lab and healthcare applications. Ideal for Urgent Care, hospitals, education and laboratory facilities. 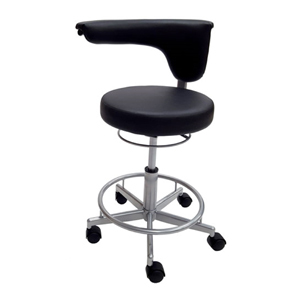 Components in all lab chairs or stools enhance your comfort and designed with heavy duty parts for long lasting durability used in multiple shift environments. Antimicrobial vinyl upholstered seat and chrome base wipe clean. 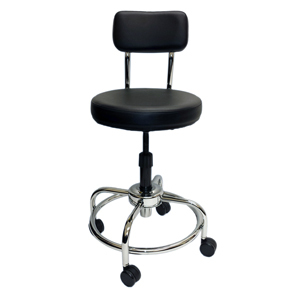 ShopSol Lab Stool adjustable seat height from 22″” to 26″ with a unique free spin mechanical lift for easy height adjustment . The seat will not raise or lower until you hold the free spin adjustment collar. 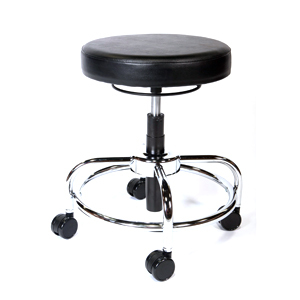 Chrome steel tubular base with welded foot ring for stability and ergonomics. Free spin mechanical lift for easy height adjustment . The seat will not raise or lower until you hold the free spin adjustment collar.